So you are ready to get started but you are missing one thing: the product? Slight problem? Not really. Just because you don’t have a shiny new product ready to go, doesn’t mean you need to postpone your entrance to the market. 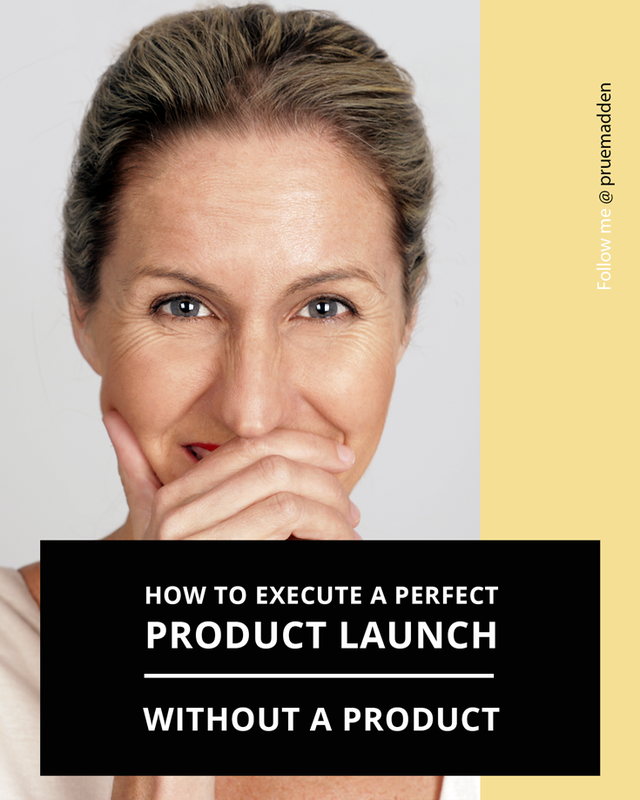 It’s actually possible to execute a new product launch BEFORE you’ve finished creating it. And it’s not just me that’s doing it. This exact system is being used by a myriad of marketers the world over. Intrigued? Let’s take a look at how it works. This is by far the most important thing you are going to do. Building your entire business on a defunct idea is going to waste time, energy, potentially money and your mindset. A great place to begin your research is at Google Trends. All you have to do is enter your keyword and let Google show you how popular (or unpopular) your business idea is. You also can use Google Keyword Planner, which is a part of the AdWords world. This lets you see what the monthly search volume for specific keywords and topic. Once you’ve confirmed that your topic is going to be in demand, it’s time to create a test version of it. You don’t want to unveil your full product at this stage — this is just the trial phase. Let’s say your end-goal is to offer a one-on-one coaching session for small business owners wanting to move into online flower delivery businesses. Your test product may be a PDF guide on “The 10 Step Guide to Setting up your Flower Delivery Business”. This lets you know how many people out there want to get into that market you want to develop. A PDF is quick and easy to produce – and that’s just what you want for a test product. Minimum Viable Products (MVPs) are products that have the basic features necessary to allows you to deliver a product to early adopters, in exchange for money. The idea is to release a minimalist version of your end product, at a low price (and sometimes free), to gauge demand and to collect user response which can be used to develop a more complete product to later be sold at a higher price. An explainer video – a short video (30 – 90 second) that explains what your product does and why your viewer should buy it. An explainer video can give you the same feedback as a physical product, if executed well. A landing page – set this up and monitor Google Analytics to see the number of visits and mail sign ups for more information. A landing page can validate your value proposition, product-solution fit, sales messaging and your pricing. A “Wizard of Oz” – a product that looks like a real working product, but is manually operated. Once the demand has been proven, the automation will come in future iterations. A PDF version of an information product – for information products such as eBooks, a minimalist PDF version can be the simplest and most effective MVP to establish demand. Before asking “cold” visitors to commit to a purchase, you need to warm them up. There needs to be a low barrier to connecting with you. The ideal way to do this online is to offer free content in exchange for an email address. Free content is the perfect way to start building your business. In the early phase of your business, no one knows who you are. They aren’t going to pay top-dollar for something they aren’t sure of just yet or to a brand they do not yet trust, particularly if they can get it for free elsewhere. In the early days, it’s important to focus on building your reputation – you want to be identified as a brand that delivers excellent content, high quality products, or impeccable service. Offering a well-positioned freebie can help you to garner the reputation you want, serving you long-term. So let’s talk about content. In the online space, it’s incredibly important that you consistently create and distribute valuable, and relevant content to attract and retain your target audience. Your content should be designed with the end objective of converting your interested visitors into paying customers. Many business owners are overwhelmed by the thought of writing content. Be aware that you don’t have to do all the work yourself. There are a number of platforms you can use to hire content writers, such as fiverr.com and upwork.com. There are also plenty of guest bloggers out there who would love to capitalize on your audience. Once you have started to develop a following, you have an asset that other bloggers desire – traffic. Guest blogging on your site gives them an opportunity to get in front of your audience and establish their authority. The advantage for you is that guest bloggers can bring your blog more value by varying your content and bring knew knowledge to your audience. Your writing has it’s own unique style. Offering a unique “voice” here and there can be a great way to keep people captivated and returning for your information. Don’t forget that it’s important to capture your blog visitor’s email addresses, so that you can continue to market to them after they have left your blog. Many visitors will find your blog posts through a Google search, and just as quickly as they come, they go. One technique that can be used to get these visitors onto your email list is to offer a content upgrade. A content upgrade is basically a freebie (aka lead magnet), which offers more content or another product related to the post that they have just read. The blog post is a teaser of what is to come, feeding into the free offer. Another idea is create a “free giveaway”. Create a contest for readers of the post, with the prize being a free one-on-one session or a customizable coaching session. Videos are an essential part of any new product launch kit — providing they are of acceptable quality and packed with valuable information. Note here that I specifically said “of acceptable quality”. You don’t need to have a state of the art recording studio to create video content. The good news is that there are plenty of options out there that will allow you to create great videos with little real experience in video production. Think Facebook, YouTube and other social platforms with video capabilities. Most of the time, good natural light and a pleasant background – for example a plain wall, nicely decorated room, a white board will often suffice. The key to really reach your audience and set yourself apart is to consistently reach out to them with your own unique voice. At the end of the day, attractive settings and lighting is only a small part of the equation. What counts is content and delivery. If you haven’t considered video yet, then now is the time to start. Nothing can convey your unique brand personality like video. It lets you get yourself out there and really let your own personality shine. This by far is the most cost-effective and efficient way to getting your message out there. Who better than to convey how great your end product is than the one who created it? YOU! Your goal prior to this step was to build your community. Before undertaking any new product launch, you want to have a substantial list that already believes that you have value. You use freebies, buzz, teasers and videos to build up your mailing list. At this point your goal should be having a few hundred to about 1,000 consistent visitors to your website. Additionally, you want to also increase the number of blog posts you put out and make sure that each one is high-value. Remember to keep all of the knowledge and skills that you have developed in the first stage in mind here: keywords, target phrases, product testing, etc. This is the way to maximize your audience and revenue potential when you eventually roll out your product or service. Before you start promoting your new product launch, you should design, and create your email marketing funnel that supports your planned launch. This is how you nurture your leads – the people who have signed up to your email list and who have expressed interest in the topic related to you end product. Move your potential customers by focusing on their pressure points. You want them to know that you see their needs and you understand them. For example, let’s say you still want to market your “How to Convert Your Love of Flowers into a Money-Making Business!” You want to focus on what problems have stopped people from doing this on their own. It might be money, confidence, trust, lack of knowledge, etc. You want to focus on each one and let people know that you understand their pressure points and have a solution for them to adopt to solve their problems. Tell your audience what their state will be post-purchase. After they receive your product, what should they expect? In the above case, it will be a money-generating floral business that they develop with their own hands. Let them know exactly where your product will take them. It will address their pressure points, overcome their fears and give them the end-result they have yet not experienced. Give them a step-by-step vision of what your product will do for them. Here is where you tell them that they can’t live without your product. What are they missing? YOU! Now that you’ve created your MVP, your freebies and your marketing videos, it’s time to bring it all of these assets together and create buzz. Theoretically your MVP is going to work, so you want to start treating it like it will be successful from the beginning. Use your MVP to build anticipation. Think about how you can create excitement by using messaging that resonates with your target customer and using tools that grab attention. Think about your own shopping habits and what draws you to a product online. When you see a sign or a pop-up banner telling you about a deal for a product that you are interested in, what happens? You get excited. You want to know more. You mark the release date on your calendar. That’s exactly what you want to replicate for your audience. You want them to be waiting in anticipation for your product release. Here is where you can offer your freebie in exchange for their email address. Then, in an email sequence, you will use clever copy writing, images and videos to create the “I want it now” excitement that will make your launch a success. Talk about annoyances that your product will solve. Elude to your product solving these problems but don’t give all of your exciting features away! The idea is to get bloggers and the media talking months before your new product launch. This means before your beta version is launched. All you need is a landing page and a way to capture leads. Have a vision. Be bold, be brave. Newsworthy products change the way we think. They make people talk because they represent a future that your customers want to live in. With something new and exciting, you’ll have the media chasing you for the story, instead of you chasing them. A wait list can help you build your list and vet your early adopters prior to your new product launch. By including a multiple choice radio button on your landing page, you can segment sign ups to you wait list based on their fit with your product. For example, of your product is a high ticket item aimed at entrepreneurs who have a well-established online business, then you could ask how many years the visitor has been online or what their annual revenue from online sales is. Once the select an answer, they will be filtered into a suitable or not suitable list. When launch time comes around, you will have a pre-vetted list to which you can launch the right product with the right messaging. 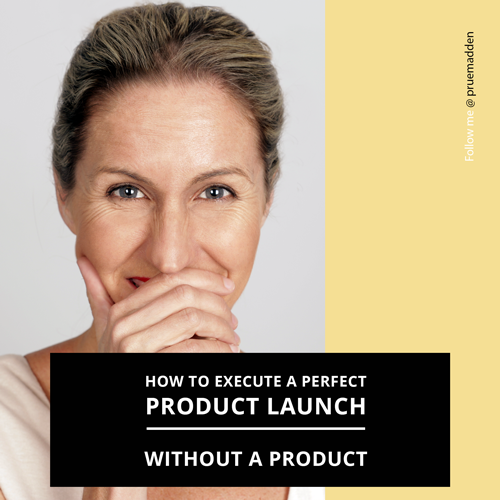 When you’ve done a brilliant job at creating buzz during your new product launch period, offering pre-ordering for your new product can potentially result in hundreds or thousands of pre-order sales in the week, or fortnight, prior to your launch. Following the MVP you may also choose to launch a beta version of your product. What is the difference between a Minimum Viable Product and a Beta Version of your product, you may ask? An MVP is when your value proposition is still an assumption, whilst beta is not. Once you’ve tested your MVP and have decided (through validated learning) a solution, your Beta version can be launched to a small group of people. The Beta version will be far more involved than your MVP. The idea of the MVP is that it enables you to test the market for interest, without investing too much time or money. The Beta version, on the other hand, involves greater commitment. It’s the real product, but with a few rough edges. 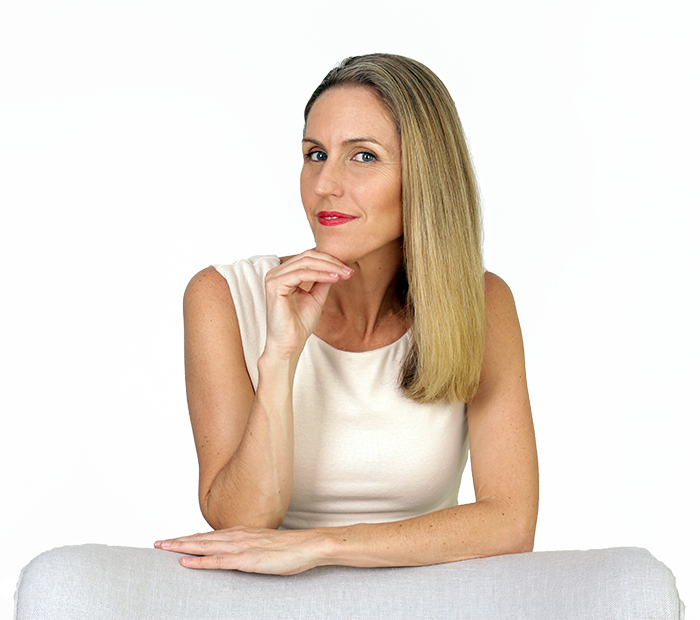 You want to release a fantastic product that will establish you as an expert, as a brand that delivers quality, and at the same time, you need to do so with the foresight that you will iterate and improve it in response to your audiences’ needs. Change is good. Many people are afraid of change. They want something better, but aren’t fully set on embracing what it takes to get there. You may even secretly be one of them! The way you can overcome this is by showing your audience what great value it will be to adopt your service or product into their everyday lives. If your product meets their needs, then they will see how valuable it really is. Like with the MVP, a Beta version can take many forms – dependent on the end product you are creating. If your end product is an online course, a scaled back version of the end course is an efficient and effective way to guage demand and response to the course content. One way to escalate your ability to convey that change is good is to strategically align yourself with someone else who is in the same market. You can double your audience, but you also can create a win-win for another power player in the market. There are going to be a lot of competitors in the market (that’s the nature of the internet) but that doesn’t mean you can’t find a few that you work with. A strategic launch partner can be just what you need to get to the next level. Here is where you also can start delving into affiliates. The affiliate is your sales team who is out there pounding the metaphoric pavement for you—they are doing the selling. The great news is that the structure is set up such that you don’t have to pay them, until you get paid! So you have created enough buzz about your product during your new product launch, and then you release it. After you launch your product, don’t forget to continue communicating with your audience. You want to keep on building your reputation in the market as a leader. If you have a good affiliate team built up, you are always going to have new potential customers to guide through the sequence of emails and timelines you have created. In essence, the end for you (the release) is just the beginning. If your product is viable and value-centered, then it is going to serve you over and over. Yes – you will continue to hone it over time, but you are going to get a lot of results from that initial delivery. Paid advertising at the beginning may not be an option for you, however don’t completely dismiss it. Once you start getting some revenue, consider dabbling in it. There are a number of tools out there that are affordable, cost-efficient and very helpful. Twitter, Facebook and Google all offer programs that can be tailored to your budget. Set aside an amount that you can reasonably dedicate to each one as you look into how well they work for you. The reality is that not all paid-advertising tools are going to be effective for every market. That’s why you put a strict cap on how much you are investing in each one. Then, keep watching how they affect your overall results. You can always cut back on some tools that aren’t performing well enough and increase budgets for those that are doing well. Once you’ve completed your new product launch, and your product is out there, you should continue your research of what works and what doesn’t. This is a never-ending cycle. You research, hone, tease, build excitement, test, hone again, and finally release the product…over and over. Once you go through the process once, you are going to have a better idea of what to expect and you can change it as your needs change. You are going to inevitably learn a lot about yourself and your audience as you embark on this campaign and the many successful ones you have in the future.